Our fostering program very simply is the heart and soul of our operation. Without our foster families, we would not be able to make a difference for the numbers of hounds that we do each year. 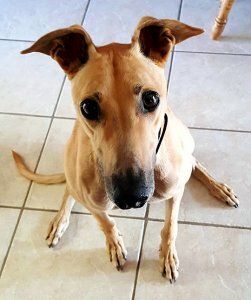 Our foster families take dogs, fresh off the racetrack, into their homes, teach them how to behave in a home, how to play with toys and other hounds, get them to their vet appointments, put some meat on their bones, and fall in love with them. Then they give them up for adoption, and start all over again. It’s a labor of love, and it means the world to those hounds who pass through our organization. Can you see it in your heart to help make a world of difference for one of these noble animals? American Greyhound provides you with a kennel for your hound, all vet care costs, and support when things aren’t going the way you’d like. You supply a roof over their heads, a couple meals each day, and a whole lotta love. 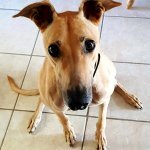 By fostering a hound, you won’t change the whole world, but you’ll change their whole world. If you have any questions about fostering, please contact our foster coordinator.